Do We Really Need A Second Inauguration? : It's All Politics Post-election pomp and circumstance seem to be in our national DNA, but there have been some low-key inaugurals, including during the Great Depression and World War II. With a looming fiscal cliff, is this the time for a simple swearing-in ceremony on Jan. 21, rather than another megamillion-dollar blowout? 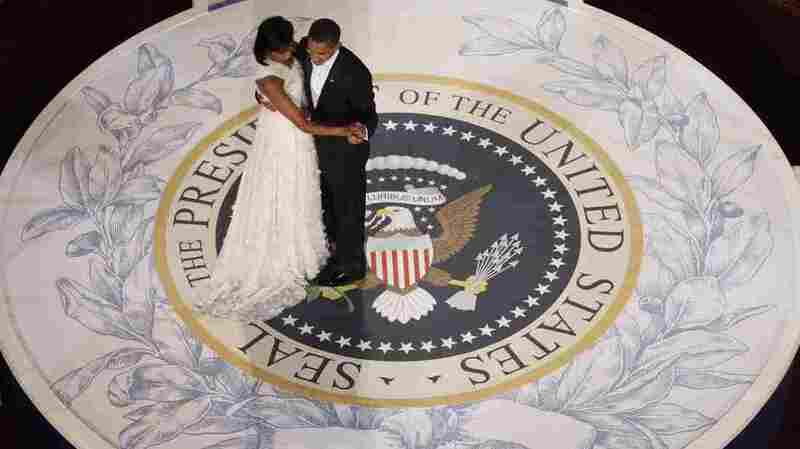 President Obama dances with first lady Michelle Obama on the night of his inauguration, Jan. 20, 2009, in Washington. For the sake of argument, let's agree that when we use the word "inauguration" in this particular post, we are talking about the multiday, ball-bestrewn, soiree-soaked, tuxedo-dappled extravaganza that costs tens of millions of dollars and often leaves many Americans out in the cold — figuratively and literally. We are not referring to the inaugural parade and solemn swearing-in ceremony planned for Jan. 21, 2013. The 57th inauguration of the U.S. president is designed to be an elegant, orderly and bloodless transfer — or, in this case, retention — of power. We get that. We are talking about the outrageous reported costs of recent inauguration celebrations. Sure, some of the bills are footed by private donations. According to the Annenberg Public Policy Center, the second inauguration of President George W. Bush cost about $157 million — with some $40 million coming from loyal supporters. But taxpayers were still dunned $115 million or so by local and federal agencies for security, cleanup and other expenses. And Barack Obama's first inauguration cost roughly the same. Obama's first inauguration in 2009 was historic and symbolic and arguably a meeting-up point for a lost nation. Now, four years later, we are still trying to get the danged compass to work. Do we really have time — and resources — to party? What would we gain by spiking the celebration? And what would we lose? "The swearing-in is an important ritual," says Jim Bendat, author of Democracy's Big Day: The Inauguration of Our President, 1789-2013. "When the president takes the oath, the inauguration has taken place. All other aspects of Inauguration Day — the procession to the Capitol, the parade, the inaugural balls, etc. — are traditional events not mandated by the Constitution." 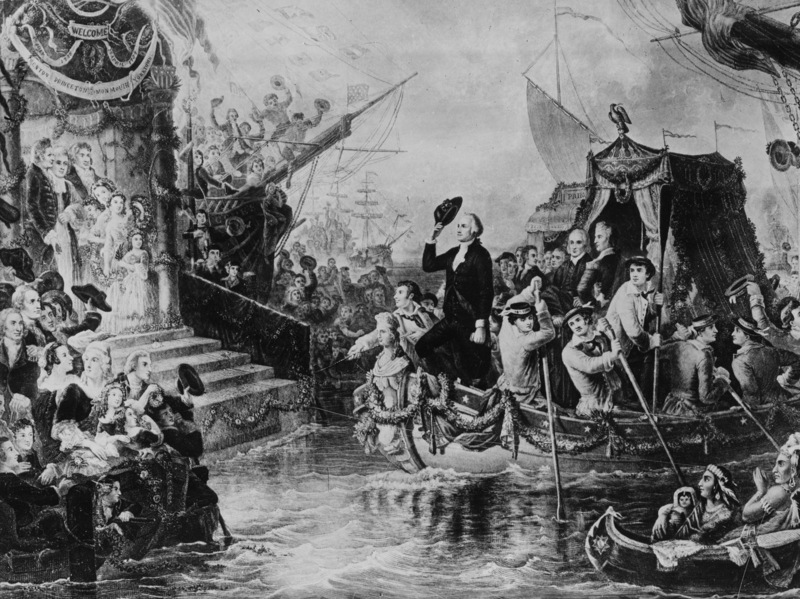 This drawing depicts George Washington arriving in New York by barge on his first Inauguration Day on April 30, 1789. So, Bendat says, "to answer your first question, we need an inauguration — the oath. But we would survive just fine without the pomp and circumstance." Post-election pomp and circumstance, however, seem to be in our national DNA. The earliest Americans held a springtime ball in New York City to rejoice over the election of George Washington. By 1809, the Joint Congressional Committee on Inaugural Ceremonies reports, balls were part of the bargain. That year the hostess for an inaugural ball at Long's Hotel in Washington was first lady Dolley Madison. Some 400 tickets were sold for $4 apiece. By 1849, so many celebrants were honoring newly elected Zachary Taylor, organizers erected a temporary ballroom in Judiciary Square. In the ensuing years, some of the capital city's most cavernous structures — including the Treasury Building, the Pension Building (known today as the National Building Museum) and the National Museum (known today as the Smithsonian Institution's Arts and Industries Building) — accommodated multitudes of merrymakers. More to the point, however, the festivities have been canceled in times past. In 1853, Franklin Pierce, mourning the loss of his 11-year-old son, Benjamin, in a train accident, asked that extracurricular inaugural activities be curtailed. Sixty years later, Woodrow Wilson felt that the parties were unseemly and unnecessary, given the solemnity of the occasion. Warren G. Harding also canceled the inaugural ball in 1921. He even nixed the parade. Throughout Prohibition, the Great Depression and World War II, presidents deemed that the inaugural balls should raise money for charity. In 1945, when Franklin D. Roosevelt was inaugurated for the fourth time, he had health issues and the country was still at war, says Bendat. "The ceremony was moved from the traditional site at the Capitol to the South Lawn of the White House. A small crowd stood in the snow during that low-key event. 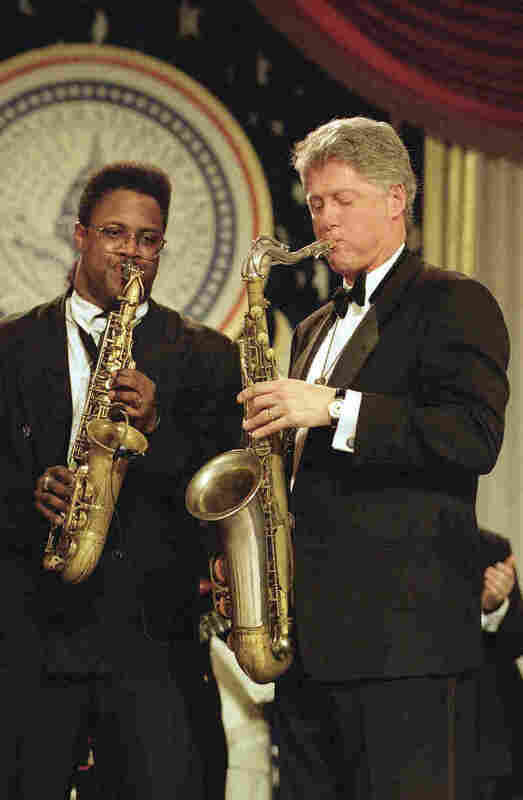 There was no inaugural parade and no inaugural ball that night." It wasn't until Harry Truman's inauguration in 1949 that the revelry truly returned. With Dwight D. Eisenhower, the number of official balls increased to four in 1957, and by 1997, when Bill Clinton returned to the Oval Office for his second term, there were 14 official inaugural balls. So, the question remains: What would we gain by putting the kibosh on the bashes? "Instead of a big celebration, a toned-downed inauguration would symbolically demonstrate that the administration is serious about immediately getting to work on the serious issues facing our nation," Bendat says. And that it's serious about responsible fiscal stewardship. And what would be lost? Money, Bendat says. "The airlines, Washington hotels and Washington restaurants would be upset. Many people come to D.C. for each inauguration, hotel rates go up and visitors spend lots of money." In addition, many people who canvassed and campaigned for Obama and Vice President Biden want to celebrate their hard work and victory. "But would the country as a whole really suffer if the event became more low-key?" Bendat adds. "Not at all. We might even welcome it."